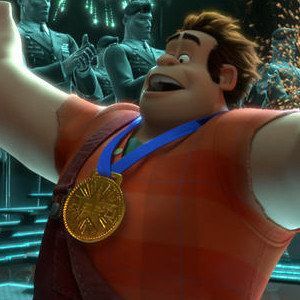 Walt Disney Pictures has released an international trailer for Wreck-It Ralph, Rich Moore's feature directorial debut that takes us inside the intriguing world of video games. John C. Reilly stars as the title character, a villain who destroys property that Fix-It Felix (Jack McBrayer) handily repairs. This burly baddie decides he wants to do good from now on, and begins infiltrating other games to prove his pure intentions. Take a look at this U.K. trailer for this animated comedy, also starring Jane Lynch and Sarah Silverman.